#EXCLUSIVE: Not Aashika Bhatia but Neha Kakkar to star opposite Priyank Sharma in his next! Priyank Sharma, who is the current heartthrob of the nation is all set for his next project post PuncchBeat. 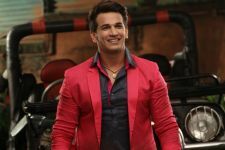 Rumours were rife that he will be starring opposite Aashika Bhatia, who is known for her Bollywood stint in Salman Khan's Prem Ratan Dhan Payo. Well, that's not true. Though she is also part of the music video but Priyank will be starring opposite somebody else and not her. The exclusive scoop is that the actor is all set to be seen opposite Neha Kakkar in Tony Kakkar's next music video. Neha and Priyank will be sharing screen space for the first time. The song has been shot yesterday at the Film city, Mumbai and is a romantic Punjabi number. Neha and Priyank will be seen playing high school kids who get attracted to each other and then the story in the song unfolds. The song will also have a sequence of Priyank showing off his dancing skills and wooing his fans with it. The song is set to be released early next month. A lot of influencers and Tik Tok artists like Nagma Mirajkar have been roped in to play a part of the song too.The social media is all filled with the behind the scene pictures and videos from the shoot. 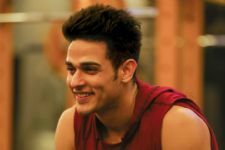 Priyank to reunite with singer Aastha Gill for another smashing hit? 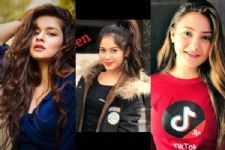 The RISE and FALL of Tik Tok in India! #EXCLUSIVE: Hina Khan Wishes Luv Tyagi on His B'day; He Ponders Transitory Nature of Relationships! Bappi Lahiri's welcome jingle for boxing legend Mike Tyson, unleashed.